Whoops! Looks like the Facebook profile you've synced with (your name) doesn't have access to publish to @YourInstagramProfile on Instagram. 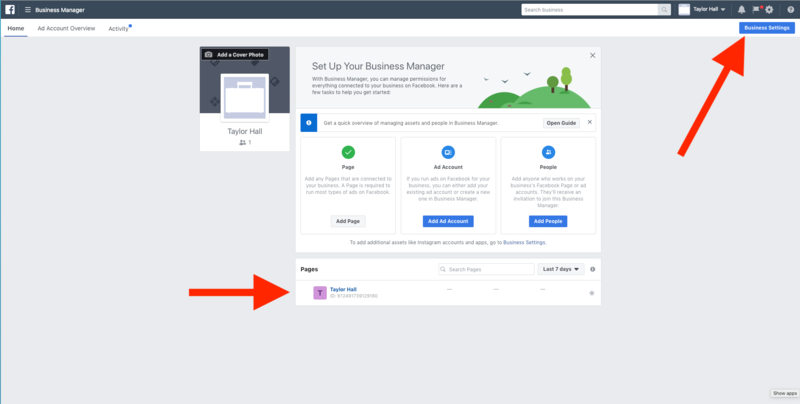 Your FB profile must have an EDITOR or ADMIN role on the Facebook Business Page associated with @YourInstagramProfile! There are a few things that could have gone wrong in order to see this message. Here are a few things you can try to solve this. 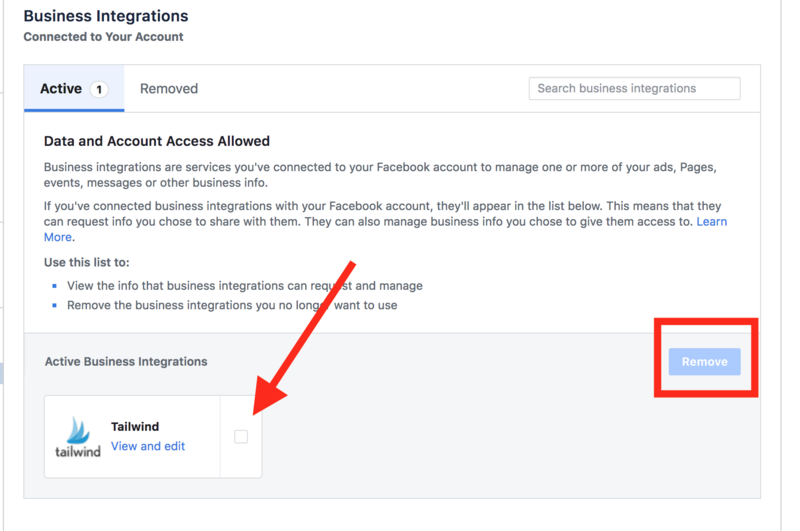 The first thing to try is to remove the Tailwind business integration from Facebook and then restart the Auto Post setup process. Check "Tailwind" and click Remove. 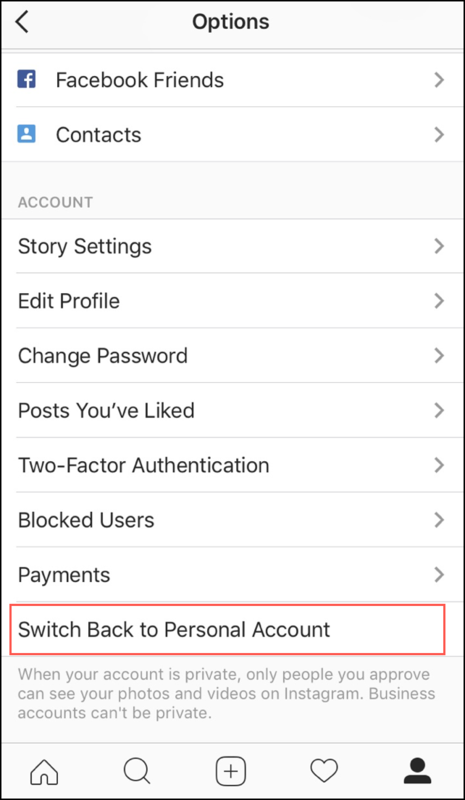 After you have done this, try to enable Auto Posting or reconnect to Instagram through Facebook again, and see if the problem is solved. If this didn't solve it, move on to the next section. 2: Check to make sure that the Instagram business account is linked to the same Facebook page you are an Admin or Editor of. If this still didn't work, move on to the next section. Perhaps something went wrong when converting your Instagram account to a business profile. 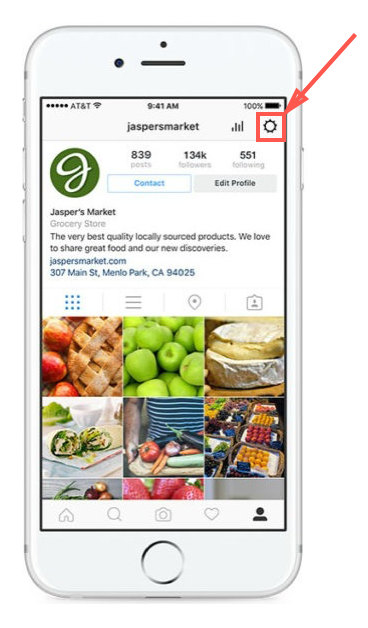 When setting up your Instagram business profile, it's possible to skip the step where you link a Facebook Page to your Instagram profile. If you do this, Instagram creates an unmanaged/unpublished Facebook Page separate to your personal Facebook profile. This means Tailwind can't connect to Instagram and setup auto-posting. What to do is first convert your Instagram account back to a personal profile (temporarily), and then immediately reconvert it back to a business profile - making sure that you're logged into the Facebook account that you will be using to connect on Tailwind with choosing the Facebook page to associate your Instagram Business profile with. Once this is complete, convert back to a business profile. 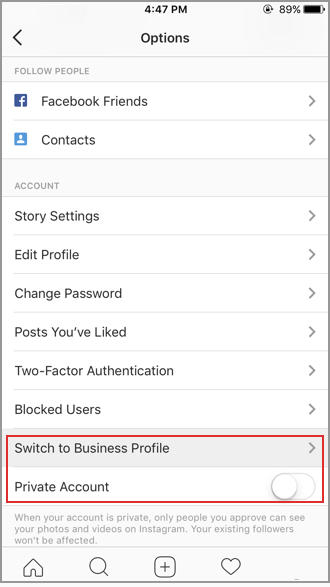 2 - Tap Switch to Business Profile and select the Facebook Page you'd like to associate with your Business Profile on Instagram with. Make sure you set your Instagram profile to Public. 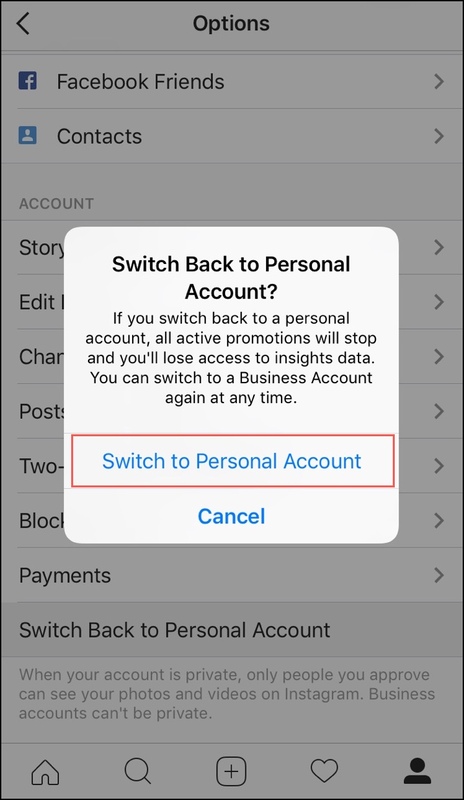 Private accounts can't switch to Business Accounts. 3 - On the Set Up Your Business Profile page, review your business's contact information, make any changes and tap Done. Your Instagram profile will now be back on business. At this point please follow these instructions to enable auto-post on Tailwind. Convert your Instagram account to a business account if you haven’t already. This step should have been completed by following the instructions above. 4. 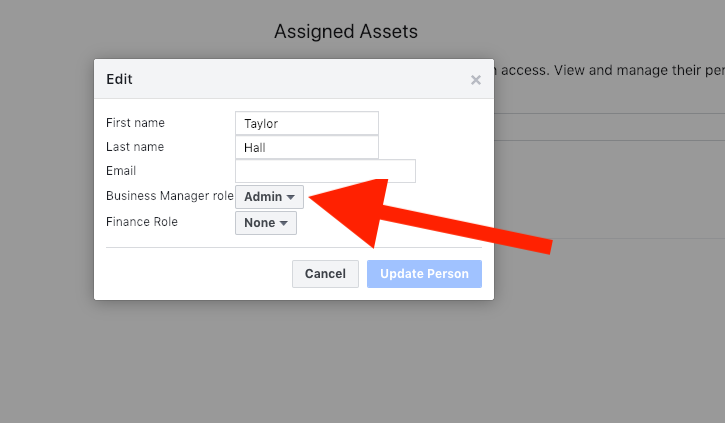 If all of the above didn't fix your problem, check your admin status on Facebook Business Manager. 1. Visit https://business.facebook.com and login or create an account by linking your existing Business Facebook. 2. 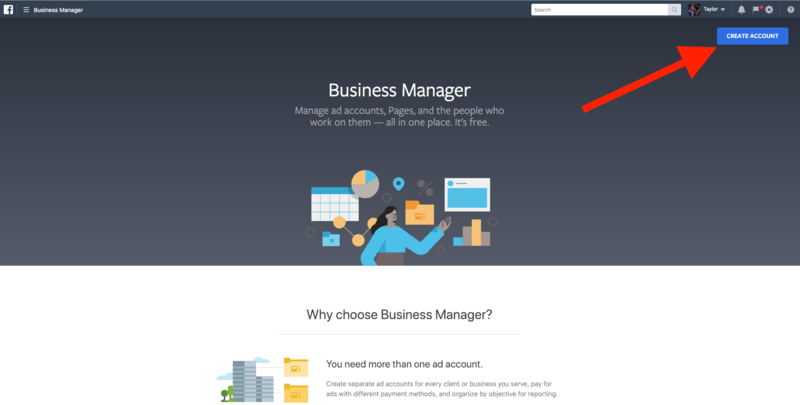 In the business manager, first ensure that the page for your business is the correct one that you would like to use. 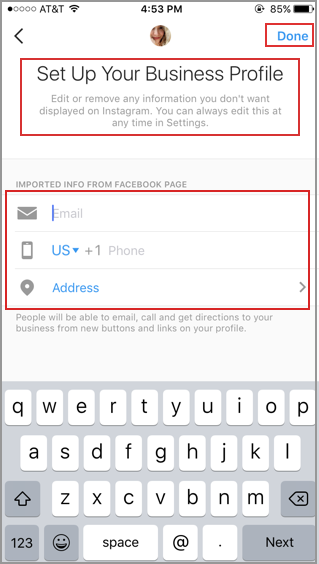 Then click Business Settings in the top right to check that your Facebook account has Admin access. 3. 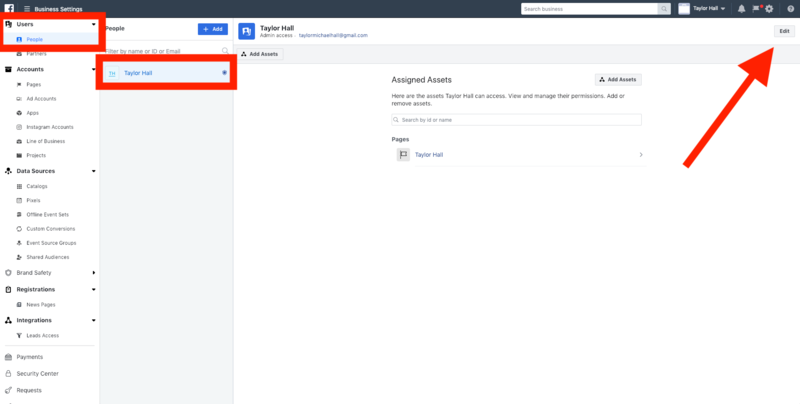 Under Users click People, find your Facebook account, then click Edit in the top right corner. 5. Finally, try again to enable Auto Post on your Tailwind dashboard.